Hey guys! I recently explored the beauty section of Fishermall, the newest place in town and I'm quite satisfied with the array of brands they offer. What caught my attention was the L'oreal counter. There were just a few pieces on display which I guess made it easier for me to check out everything including this Gentle Cleansing Milk. This makeup remover comes in a generous 200 ml plastic bottle which I'm guessing can last me a while. L'oreal suggests to use this as a gentle makeup remover by lightly massaging your face with an ample amount using your fingertips. 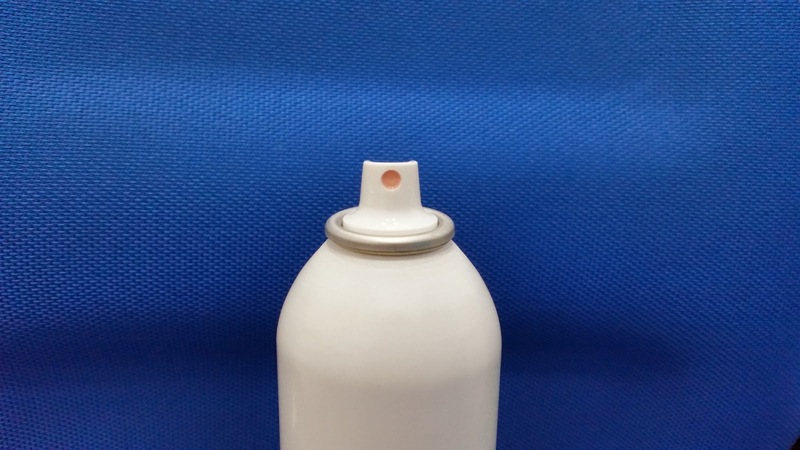 The bottle comes with a screw type cover that protects the wide spout. No complaints about the container although a pump dispenser would've been more convenient. 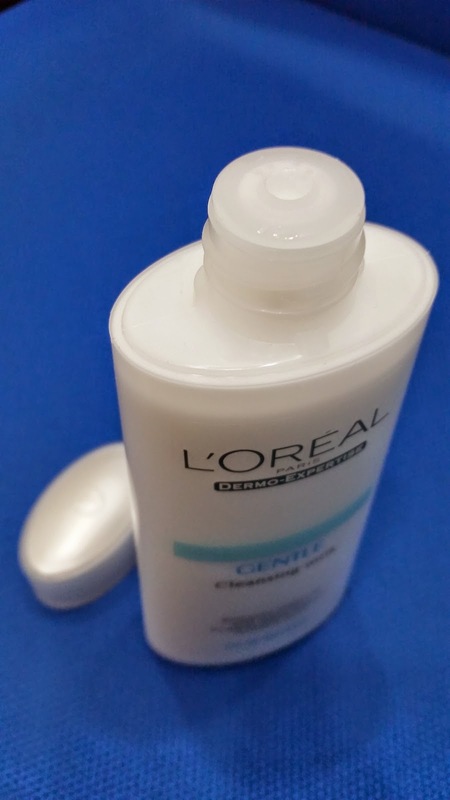 The L'oreal Gentle Cleansing Milk is opaque white and is quite runny. It spreads effortlessly on your face and you can see right away how it melts your makeup and lifts remaining dirt off your skin. You will notice a distinct floral scent that goes off immediately after you wipe off the excess with cotton. It tends to leave your face looking a bit shiny but you can either wash your face or follow through with a toner. 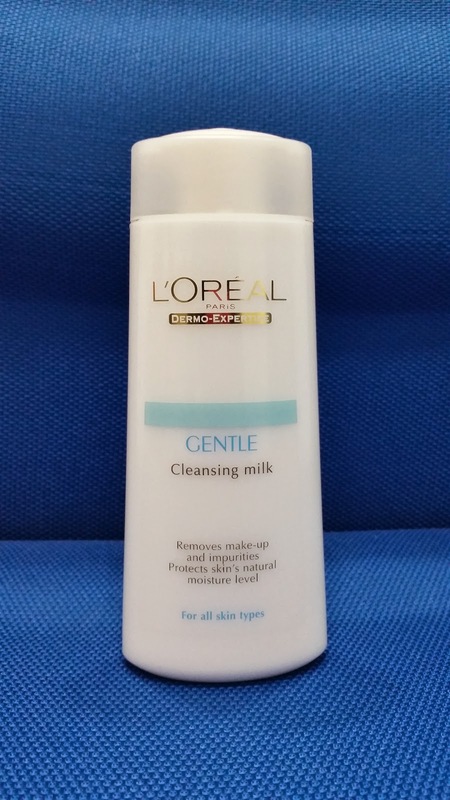 This cleansing milk didn't cause any skin irritation or pimple break out. It costs a little over Php 300 and is available almost everywhere. Overall, I find this a good product that you can use everyday for removing makeup if you have normal to dry skin but if you have oily or combination skin like me, it may not be the best product for you. 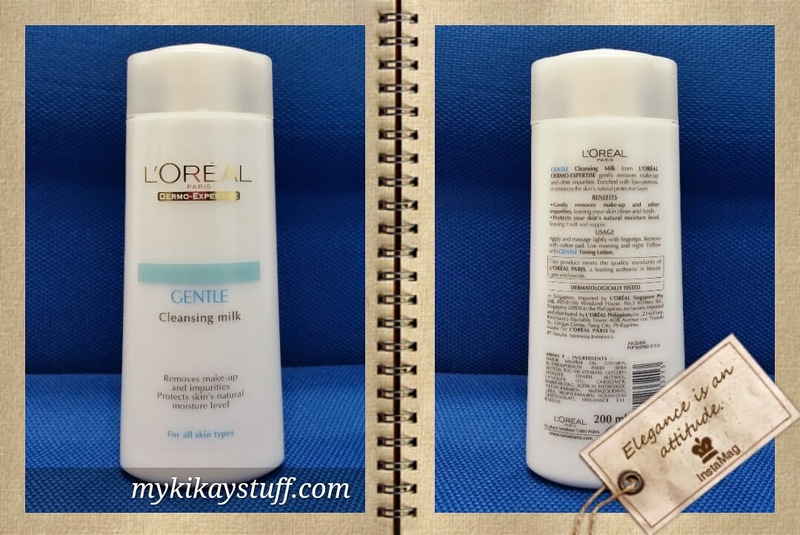 Any thoughts on the L'oreal Gentle Cleansing Milk? Please let us know using the comments section below. Thank you for reading this post and have a great weekend! Hey guys! 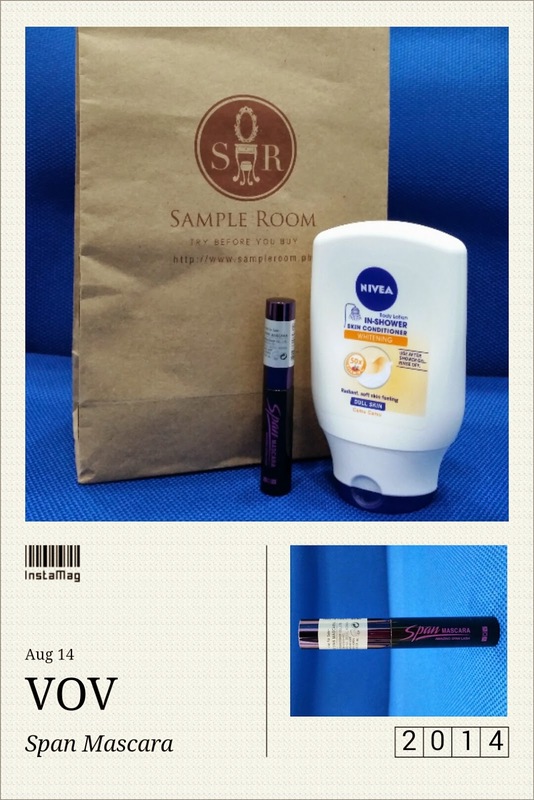 My recent package from Sample Room consisted of the Nivea In-Shower Whitening Skin Conditioner, featured in my last post and VOV Span Mascara which is the topic of my entry today. I'm not really familiar with VOV products but it's being distributed by The Face Shop, one of the leading Korean boutiques in the country. This is my first time to try a product from VOV so I used it right away to see how it fairs. 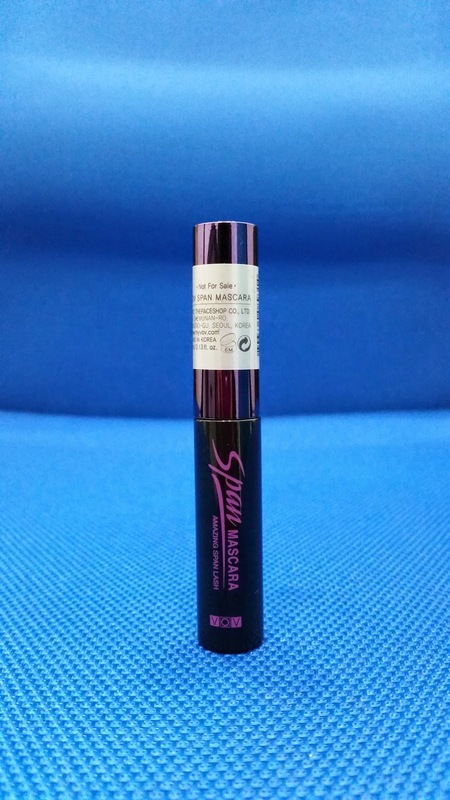 The mascara comes in a 4 ml sample tube with a curved applicator that's densely packed with bristles. The VOV Span Mascara has a wet formula that it tends to smudge big time on your lower lids. I don't like the way it makes my lashes clump on the tips making them look more sparse than they already are. The formula weighs down your lashes so much that it can't hold up the curl. The label doesn't say which product I got, the volumizing or the curling variety but based on experience, it didn't fulfill both features so I'm still clueless which one I have. Staying power is a good 6 to 8 hours with minimal flaking. 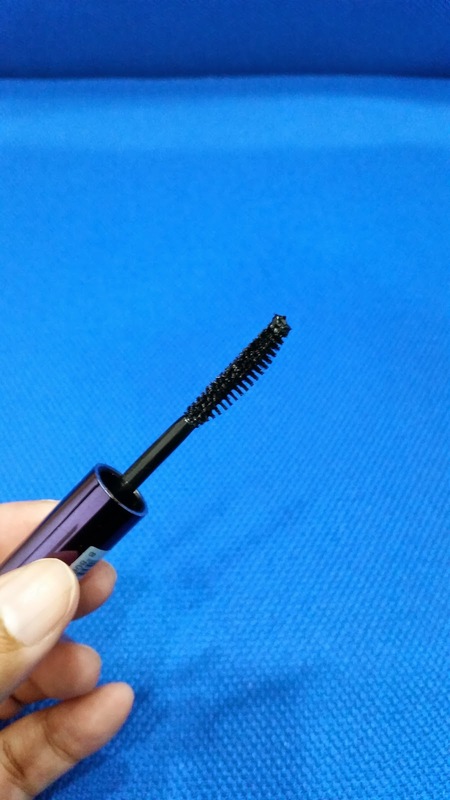 This mascara is surprisingly difficult to remove with regular washing so I suggest you use an oil based makeup remover to really melt the formula before you wash it off. Overall, this product reminds so much of how I despised putting on mascara during my early years of using makeup. 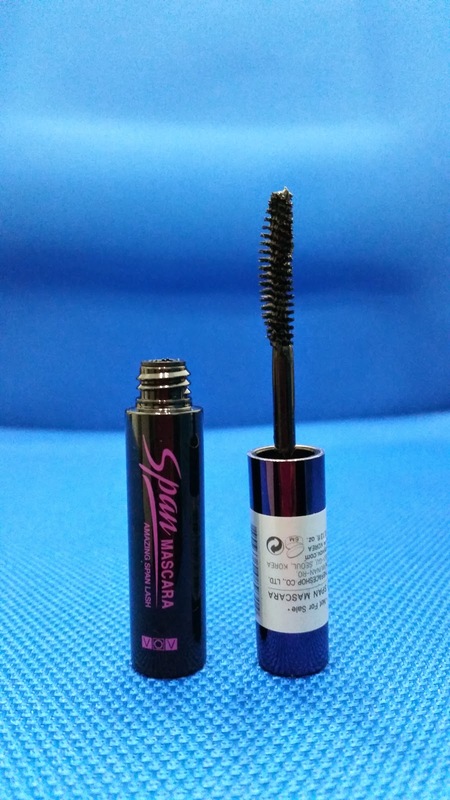 I won't spend a whopping Php 985 for a mascara that clumps, smudges and weighs down your lashes. Good thing I only got it for free from Sample Room. This experience made me appreciate Sample Room even more especially their "try before you buy" concept that truly empowers consumers. Any thoughts on the VOV Span Mascara? I'd like to know what you have to say so please leave them on the comments section below. Thank you for reading and have a great week! Hey guys! I recently got my Sample Room package and I was so excited to try the products included that it didn't take me long to start using them. Anyway, I'll be reviewing the Nivea In-Shower Whitening Skin Conditioner today and have a separate entry for the VOV Span Mascara on my next post. I was honestly intrigued by this product simply because I haven't heard of an in-shower skin conditioner before. 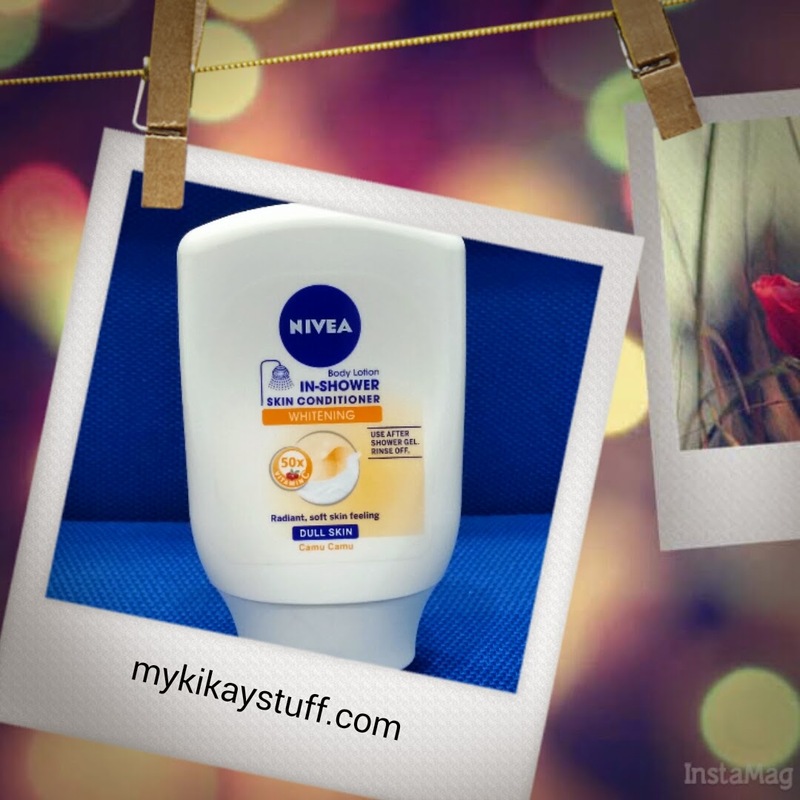 Nivea suggests to apply it after cleansing your body, rinse off, dry yourself, dress up and go. The in-shower whitening skin conditioner that I got was in a 100 ml squeeze-type tube which I really like for ease of dispensing the contents. It has a flip cover to protect the tiny nozzle on the bottom. 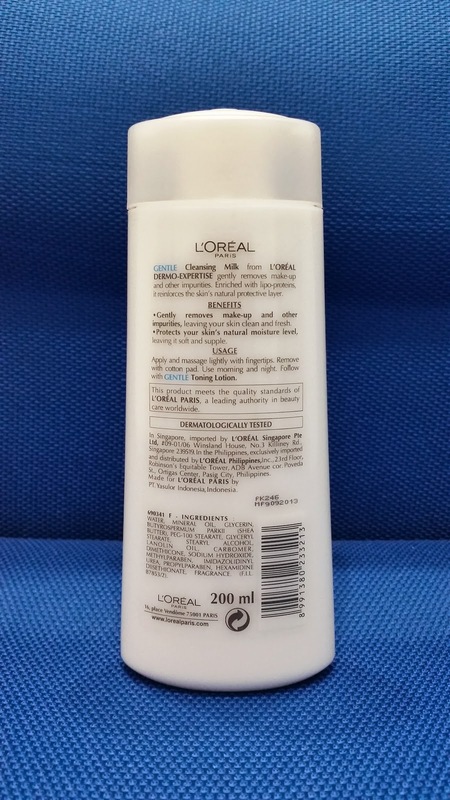 This product is opaque white in color with a thicker consistency than lotion and looks a lot like hair conditioner. It has a faint powdery scent that I really like. It spreads easily on your skin and feels so soft on application. It gives your skin that supple finish which you don't usually get after a bath especially if you use exfoliating products like Kojic Acid. I love how it tends to keep dry areas of my skin like my legs and feet look more smooth even without applying lotion. Now the not so good thing about it is it tends to leave some areas of your skin sticky especially your palms. It usually takes me a while before I can totally remove the excess conditioner on my hands even after vigorous rubbing. What's more bothersome is that it also gives a feeling that you haven't thoroughly rinsed certain areas of your body where your skin folds like the armpits and the opposite sides of your elbows and knees. I may have to disagree with Nivea's suggestion to rinse, dress up and go because I still feel the need to apply sunscreen during the day but this may be okay when used at night. Overall, I like the Nivea In-Shower Whitening Skin Conditioner but not too much to include it in my regimen. I love the concept of having your skin conditioned while you shower but I feel like I can achieve the same effects with a moisturizing body wash. I may recommend its use to those who want to pamper themselves at night before hitting the sack. Any thoughts on the Nivea In-Shower Whitening Skin Conditioner? Do leave them on the comments section below. Thanks for reading and have an exciting week! Hey guys! If you've been following my blog, you'd know that I love everything skin care related which is why it excites me to try every single product in my grasp that promises to nurture my skin. 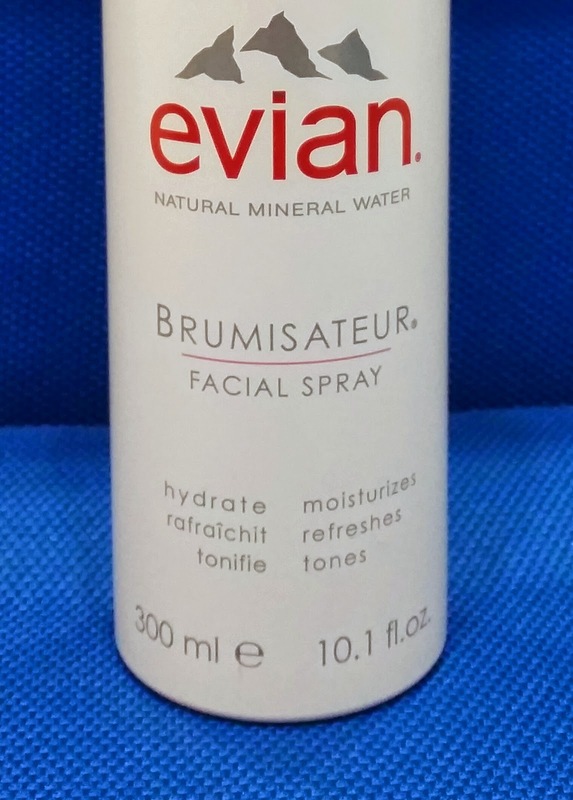 My most recent skin pampering ritual is the use of face mist and the brand I've been using for a couple of weeks now is the Evian Natural Mineral Water Facial Spray. This face mist comes in a generous 300 ml canister with a tiny cap. They also come in smaller sizes, 150 ml and 50 ml which can fit easily in your purse when you travel. I love that the nozzle creates a fine mist each use but remember to position it at least 6 inches from your skin surface. Otherwise you won't achieve that fine mist effect. You may use this several times a day and leave it on or dab the excess moisture to dry. 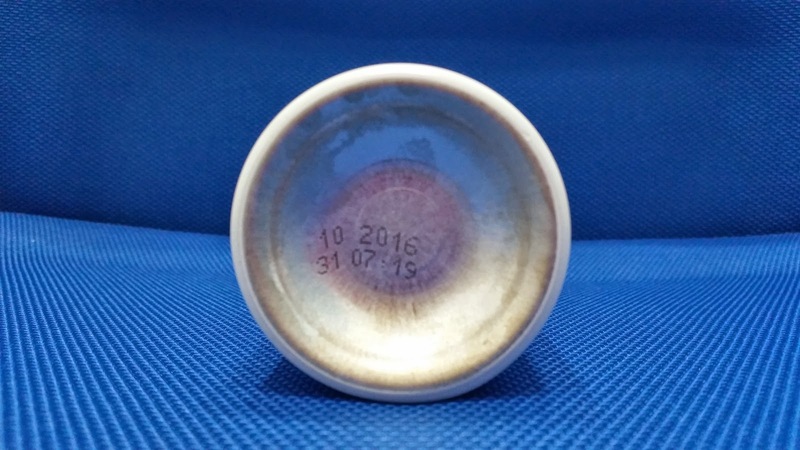 The bottom tells you the manufacturing and expiration dates. Since this is a pressurized container, keep out of reach of children and don't expose to temperatures exceeding 50°C. I use this everyday to moisturize my face after my morning bath and post cleansing at night. I also use it mid day when I freshen up. 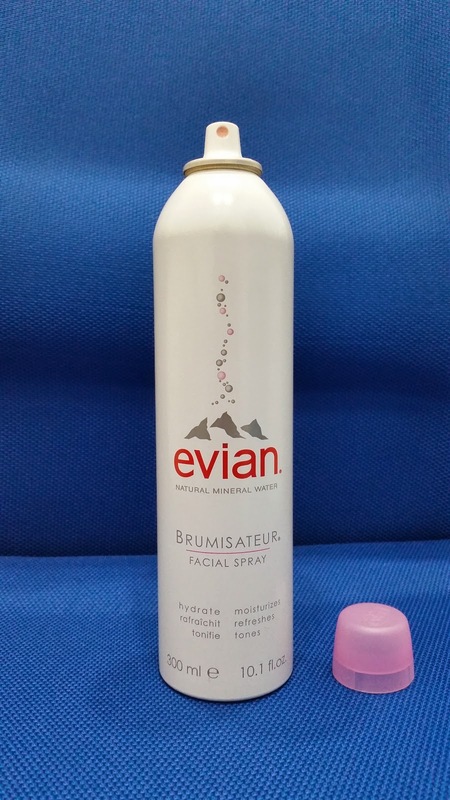 On application, I love how Evian instantly cools the skin. Although it can immediately moisturize your face, I think using it alone is not enough so I suggest you still use a separate moisturizer. This product never caused any adverse skin reactions like redness or itching. After almost 2 weeks of continued use, my skin feels more invigorated. Overall, I love Evian so much that I am planning to stick to it and repurchase. Although I am drawn to the use of face mist, I still don't recommend it to everyone especially if you're the type who doesn't prefer an extra step to your skin care ritual. If you want to incorporate the use of face mist to your skin care routine, I highly recommend you get Evian because aside from being widely available, it's also more affordable (Php 500/300 ml) than other brands like Avene. 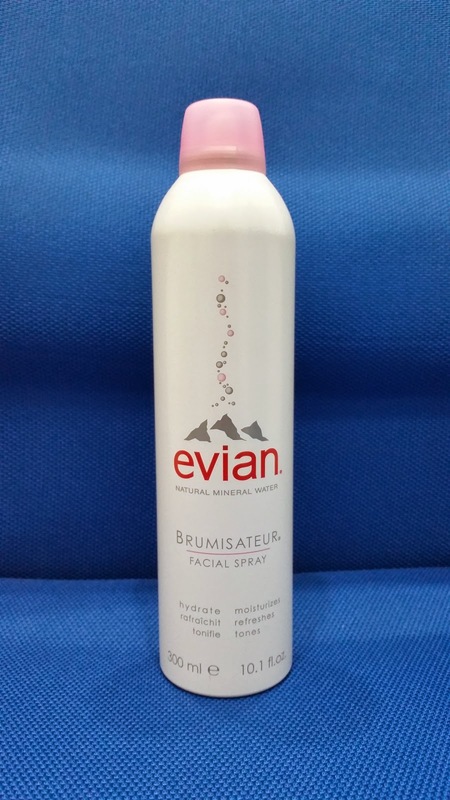 Any thoughts on the Evian Facial Spray? Do share them on the comments section below. Thank you very much for reading and enjoy your weekend!